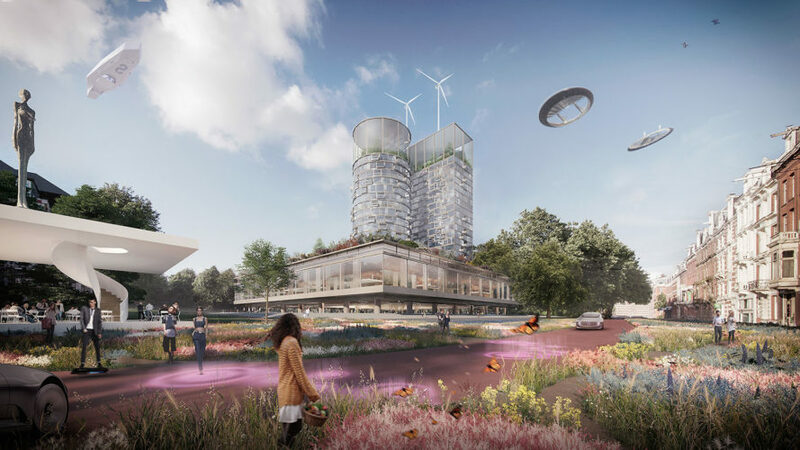 A large, circular new masterplan for Amsterdam's city center transforms existing buildings into green, pedestrian-friendly spaces. Architecture firm HofmanDujardin designed the project in order to decentralize the area and repurpose routes currently used solely by cars. Parks, food markets, smart transportation and urban farms would reinvigorate the heart of the city and create a healthy environment for its inhabitants. The project offers a solution to some of the issues plaguing the city center which is crowded with tourists, suffers from dense traffic and high rents. 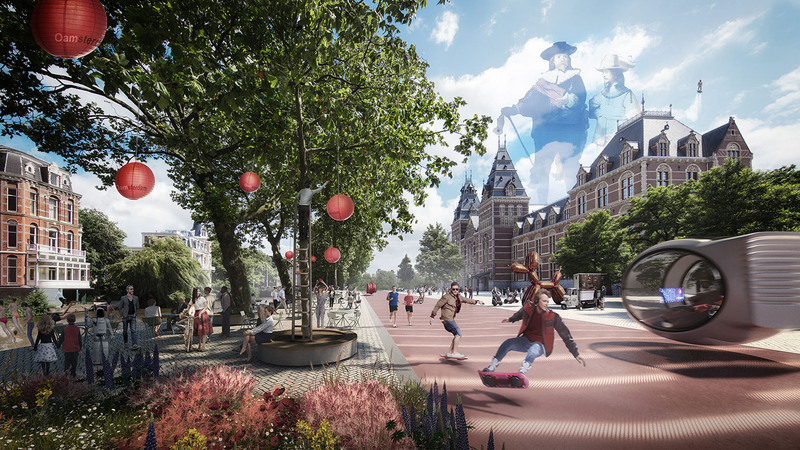 The innovative plan connects the northern district to the rest of the city and creates a circular path through the city, thus restoring Amsterdam’s historic connection to the water and opening up the waterfront. A natural park would be introduced to areas along the road and canals, while a new food market would occupy the place of the current parking lot. Urban farming spaces would be housed in a former bank building, and various sports facilities would line the new ring and the waterfront. This ambitious plan envisions a future where the city would have air ships, interactive features, holograms, silent floating cars and delivery drones. The project offers a solution to some of the issues plaguing the city center which is crowded with tourists and dense traffic, and burdened by rising rents. The innovative plan connects the northern district to the rest of the city and creates a circular path through the city, thus restoring Amsterdam’s historic connection to the water and opening up the waterfront. A natural park would be introduced to areas along the road and canals, while a new food market would occupy the place of the current parking lot. Urban farming would be housed in a former bank building, and various sports facilities would line the new ring and the waterfront. This ambitious plan envisions a future where the city would have air ships, interactive features, holograms, silent floating cars and delivery drones.